An architectural style that has had a promising development during the last years and that surpasses in look and elegance the usual methods of facade cladding is the facade cassettes, made from flat steel sheet, with simple forms, many color variations and quite simple to install. 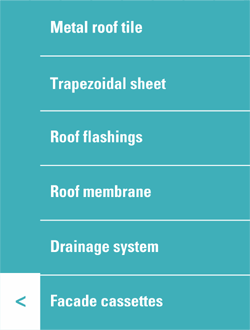 They have proven to be a very good choice for a great deal of industrial and commercial designs while at the same time being also used in residential projects. 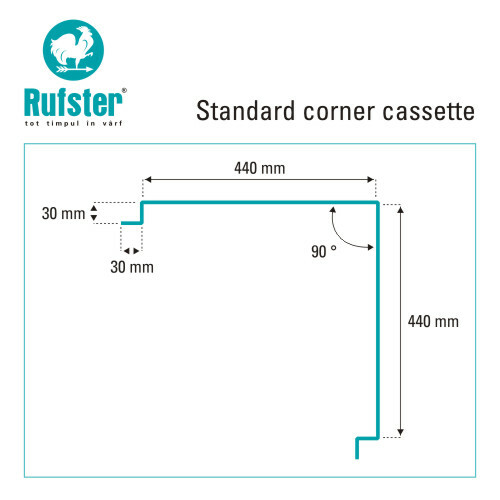 RUFSTER manufactures, by demand, a simple and practical cassette profile, with standard width and two length versions and also the corner pieces. 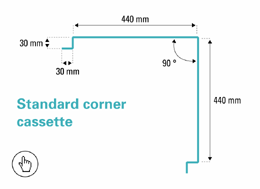 * The dimensions of the cassettes are made according to the project requirements. 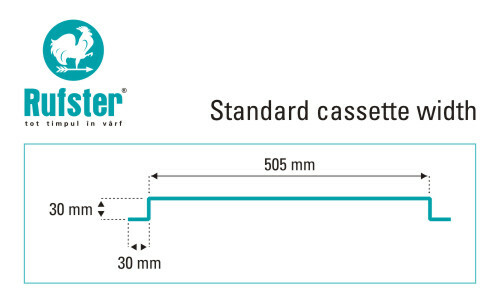 * The standard cassette dimensions are optimal regarding the material consumption.